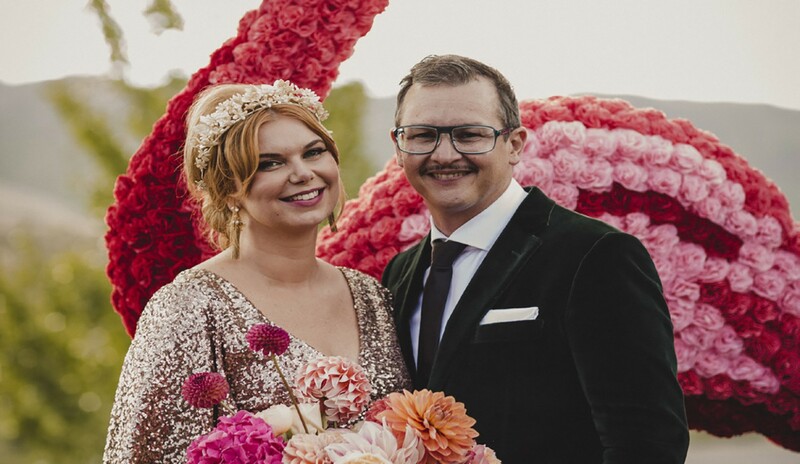 Wedding industry aficionados agree … the flood of ideas from Instagram, Pinterest and other social media have changed the way we wed.
Suzanne created a pair of nine-foot flamingos out of polystyrene and paper flowers for her own daughter’s wedding, and transported them to the Tuki Tuki Valley, with some effort. Wedding planner Rebecca Tacon worked with a bride who individually folded 120 origami dinosaur place cards, in all sizes and colours; and another who stitched together table runners with pages from the couple’s favourite books. Pets are increasingly included in bridal parties. An involuntary grimace of remembered trauma flickers across the faces of wedding planners when the prospect of working with animals or small children is raised. Rebecca recalls a near miss when the ring-bearer collie dug out of a paddock to frolic with arriving guests. Luckily she had dissuaded the groom from attaching the ring to his collar. The dog was recovered and managed to meander up the aisle, together with a three-year-old. Suzanne had a bride ride down the aisle with her father, both on horseback. As the average age to walk down the aisle creeps up, and the marriage rate drops, couples increasingly wed not because society tells them they must, but because they want to make a public commitment. 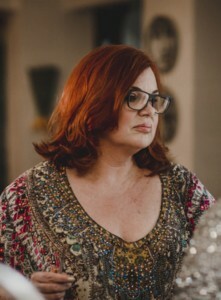 For second marriages, many choose surprise weddings…Suzanne did, getting hitched in her fifties in front of twelve unsuspecting friends. “It was less about who was looking and more about having fun with the people we loved.” Jo believes second timers don’t want to pressure guests into fuss or gifting. Older couples focus on the act of matrimony rather than the surrounding style. Families are often invited under the auspices of a significant birthday, only to have a wedding sprung on them. One such couple celebrated the bride’s seventieth birthday with her thirteen siblings, and each of their respective children and grandchildren. There was a ladies art deco luncheon, and golf for the gents. They convened for birthday cake, only to be led onto the lawn at Cape Kidnappers where the bride emerged in white wedding dress to tie the knot after twenty-five years of partnership. As we move towards a more secular society, marriage has followed suit. 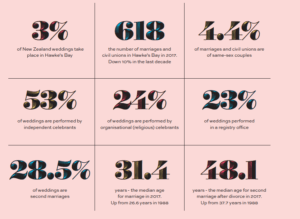 Less than a quarter of weddings are performed by a minister of faith, and more than half choose an independent celebrant. But Jo finds an enduring appetite for spirituality and connection with the land and the elements. One pair were heralded with a karakia sung by a whānau group, in a culturally blended ceremony. They were given away, not by their fathers, but by their children, to whom they made vows, before their vows to each other. Others are wedded within a sacred circle, the directional points marked with taonga representing the elements. Weddings are big business in the Bay. 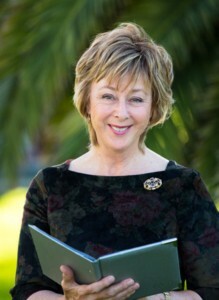 Rebecca belongs to an association of wedding vendors, under Hawke’s Bay Tourism, who have made a concerted effort to attract those seeking a destination wedding. All the professionals BayBuzz spoke to estimate up to 80% of their clients come from outside the region, with a gaggle of guests, injecting millions into our local economy. The average Kiwi wedding costs around $35,000, but some couples coming to Hawke’s Bay spend in excess of $100,000 over multiple days. Accommodation, food, drink, shopping and activities for guests on top of this adds up to an enormous sum. They are drawn by the enormous diversity of locations … beach, river, vineyard; luxury or rustic; world-class food and wine; fantastic lighting for photographs; top of the range, easily accessible services. With a destination wedding, couples are showcasing the region to their guests, inviting them for an experience with their union at its centre. As the wedding industry booms, couples are looking to the shoulder seasons, even mid-winter, to marry. Thinking outside the traditional Labour Day to Easter season is a boon for those adverse to long engagements. 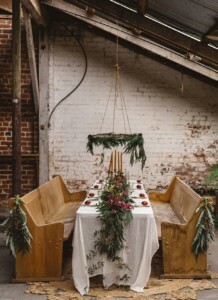 Venues and suppliers get booked up in summer – sometimes several years in advance. 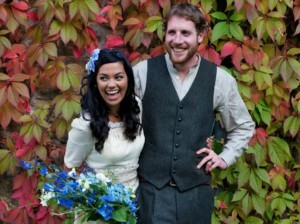 In contrast, winter nuptials have their pick, often at a better price. With hygge (Danish for ‘cosy charm’) on trend, many are choosing to distinguish themselves with this aesthetic: to rug up with fires, candlelight and mulled wine for their celebrations, in the flattering winter light and freedom from the scorching Hawke’s Bay summer sun. 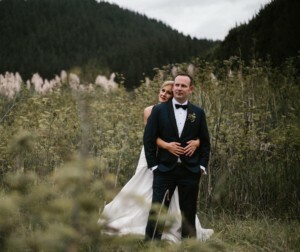 Even without adding social media to ‘inspire’, Hawke’s Bay, host to about 600 weddings per year, offers couples a surfeit of wedding choices to suit every taste, style and season.